The ao dai is a traditional Vietnamese garment comprised of a long tunic, slit on the sides and worn over pants. 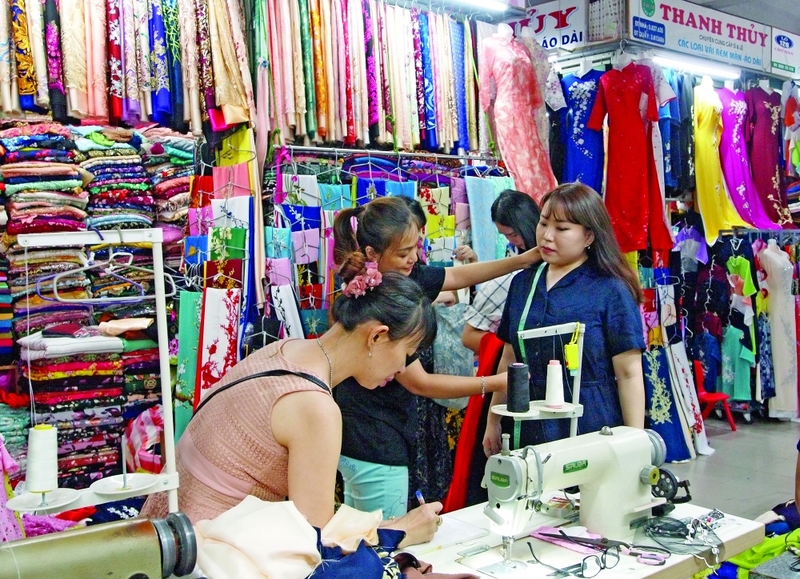 Hoang Trung Thuong Duc, Deputy Head of the Han Market Management Unit, says there are currently 50 fabric stalls and 37 ao dai tailors in the market. The fabric stalls and tailors went through difficult times when Da Nang residents turned increasingly to ready-made, Western-style clothes. In recent years, however, they have put their skill and needles to profitable use, attracting a growing number of foreign customers who come to have an ao dai tailor made, Duc said. In order to satisfy the demand of international tourists, especially those visiting the city on excursion tours for a short time, Han Market tailors are now offering one-hour service. Visitors can wait or tour around the market for an hour after having their measurements taken and choosing the fabric they want, and return to pick up their own personal souvenir. 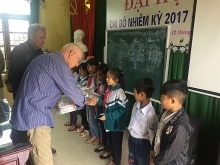 Prices run from about VND350,000-500,000 per set. Le Thi Quynh Lien, a fabric seller and ao dai tailor in Han Market, said her shop has attracted customers from different countries, the vast majority of them Koreans. Lien said she sometimes receives a dozen ao dai orders per hour. Sun Shee Kim from the Republic of Korea said she and her Korean friends want to buy ao dai sets on their first visit to Da Nang because the ferment symbolizes Vietnam and makes for a great memento. “We will introduce ao dai to our friends and come back to Vietnam sometime in the future,” Sun Shee Kim said. Another tailor - Luu Thi Thuan - has been making ao dai in Han Market for more than 20 years. “We have to work hard to complete orders for on-time delivery because gaining customer trust is so important for us,” Thuan said. “Most of our customers are tourists so we are often ordered to finish products within 45-50 minutes,” Thuan said. “If we don’t have enough time to finish our orders, we will share them with other tailors in the market.” Thuan’s shop makes 10-15 sets of ao dai daily. Thuan’s daughter - Le Hong Tu Anh - has worked for her mother for almost 10 years. Product quality and on-time delivery are most important to satisfy foreign customers, Anh said. Good ratings and reviews on websites also help, Anh adds. sets of ao dai are made daily or monthly in the market.